Active disturbance rejection control (ADRC) is an emerging control technique known for its simplicity and good disturbance rejection ability. It has been applied to first- and second-order systems in many areas. However, the application of the ADRC to high-order systems is few and also challenging because the existing bandwidth tuning method is unable to determine proper controller parameters to achieve desired system performance. 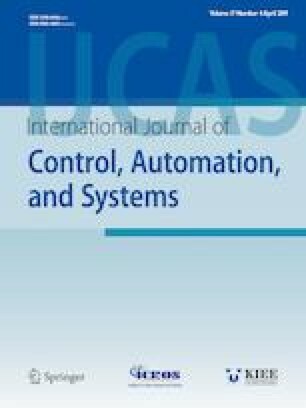 To address this problem, a new method is proposed to tune the ADRC for controlling high-order systems. First, the ADRC is decomposed into a controller and a prefilter in the frequency domain. Second, they are tuned to satisfy prescribed performance specifications. Two applications of the ADRC to high-order hydraulic systems are presented. It is shown that the proposed method greatly improves the performance of the ADRC compared to the bandwidth tuning method. Recommended by Associate Editor Jiuxiang Dong under the direction of Editor Guang-Hong Yang. This work was supported by the Natural Sciences and Engineering Research Council (NSERC) of Canada. Zhengrong Chu received his B.Sc. from the Central South University, an M.Sc. from the Harbin Institute of Technology, and a Ph.D. from the University of Manitoba. His research interests include advanced controls of autonomous vehicles, industrial robots, and hydraulic actuators. Christine Wu received her B.Sc. from the Peking University, an M.Sc. from the University of British Columbia, and a Ph.D. from the University of Manitoba. Her research interests include nonlinear dynamics, legged locomotion robotics, and biomechanics. Nariman Sepehri received the M.Sc. and Ph.D. from the University of British Columbia. His research interests include teleoperation and robotics, control systems, systems modelling and identification, and actuators and fluid power.